Book Bloggers can quite literally make or break writers – mostly they make them as they’re such a lovely lot. 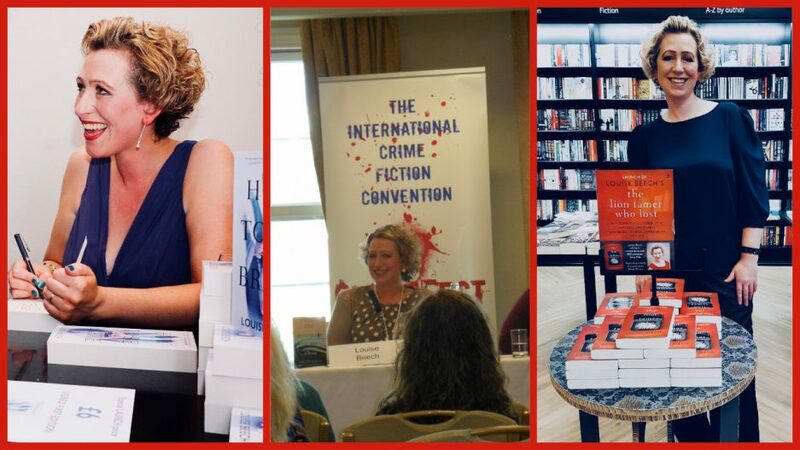 They often reveal – via their passion for all things literary – little gems of novels we’ve never heard of, great big fat magical debuts we’re curious about, and old favourites just when we need reminding. So I decided to ask a few of them what, in an absolutely perfect world, they want from a book. And if they could think of any books that actually achieved this, well, even better. Feel free to sniff around their incredible blogs too, as I’ve included those for your pleasure. Enjoy! I love books that enable me to get inside the characters’ heads. I want to feel their pain, grief, anger, excitement and laughter, not just read about their emotions. This doesn’t mean I have to like the characters, but I want to believe in them as if they’re ‘real’ people. If it’s crime, action or a psychological thriller, I want to gasp out loud, my heart to race and my head to spin. Two books that have recently intrigued me from beginning to end are All Is Not Forgotten by Wendy Walker (out in July) and Sarah Hilary’s Tastes Like Fear. Ideally I want to learn something when I read too, about the location or background to the story, for example. That’s why I love the Dark Iceland series by Ragnar Jonassen, who writes vivid descriptions of the setting, as well as fascinating plots. Snowblind is the first book in the series. And finally I also love beautiful writing that leads me to read the book again and again. These books tend be those that have touched me in some way, so that I’m thinking about them long after I’ve read the final page (and I’ve usually shed some tears at some point too). One book that’s left me feeling this way recently is In Her Wake by Amanda Jennings, which is simply stunning – I’ve read it twice so far. I like that total absorption you can get from a book. In a short space of time you can travel to so many places and times. I like a book that takes me away from day to day life and offers me something exciting. I also like characters that are challenging, that make me think and generally those characters would be the ones that I intensely dislike. In summary, I like a book that is a total escape, doesn’t have to be all beaches and margheritas though. I generally favour crime and thrillers. As somebody told me, life can’t be a wedding every day. – Something that makes me see things from a different perspective, be it a different point of view on a well-versed subject, or a completely new combination of topics that I’d never thought about together before. – A sense of adventure. This doesn’t necessarily mean action, or travel, but more of a sense of being drawn into the book’s world, where things happen in a way I want to follow the protagonists on their (emotional or actual) journey. – Pace. I like my reads to be pacy. Again, this doesn’t mean that they have to be action-packed, just that the reading has to flow quickly, whether it’s plot-based or character-based. – Flawed characters. Nobody’s perfect, so I don’t expect my protagonists to be. In fact, there’s something exquisitely hopeful about things working out for the worst and most baggage-laden of characters. – Tension. I want to keep turning the pages, and constant tension is key to this, whether it’s because of circumstances or relationships. – A hopeful yet open ending. It doesn’t have to be happy, and I don’t like perfect bows and cherries on top because life doesn’t work like that, but I also don’t want to finish a book and feel both spent and miserable. – Beautiful writing. This is a tough one to describe, but it includes evocative, original, and thought-provoking phrases and sentences and similes and metaphors at the right place and in amounts that are ‘just right’ for the type of book. – Bedlam by BA Morton : A crime thriller written in both 1st and 3rd person, with twisted plotting and characters, this makes you question your sanity (as well as the protagonists’). – The Forgotten Garden by Kate Morton : Mystery encased in setting and a masterful approach to ‘peeling back the layers’ to reveal the characters and history beneath. – The Turbulent Term of Tyke Tiler by Gene Kemp : One of my favourite stories as a child, still perfect on re-reading, this narration is a great play on reader prejudices. – The Corpse Role by Keith Nixon : Two crimes, committed a few years’ apart, told from different perspectives, making you question your expectations. – You Think You Know Me by Clare Chase : Romance, suspense and the thing that makes it unique – an interesting exploration of friendship and relationships. – Half Bad by Sally Green : Brilliant and thought-provoking fantasy/adventure, with a lot of tough subjects approached from a young adult perspective. – The Summer of Secrets by Sarah Jasmon : Raw coming-of-age that brings teenage girl self-confidence issues and first love to life with dark realism and pace. Important things for me generally are around the protagonist. If the main character is a woman she would be a strong feminist who doesn’t need to fall in love or get married to be happy. She should not need a man to define her, but that doesn’t mean there can’t be any romance. I love reading about strong characters (both men and women) who are determined to stick by their beliefs and I guess be someone to admire. Character driven literary fiction is a big hit with me as it helps explore and understand others. You really bond with the character and feel emotional about the story. You celebrate their successes and really feel their failures. I find that historical fiction appeals to me more because it comes from a time of greater inequality and I enjoy reading about people who are looking for some kind of change in the world. The other genre that works well is dystopian fiction as the central characters are fighting to survive. I want a book to take me out of my comfort zone, I want to feel things that I haven’t felt before, to be challenged. The most recent book that did that to me was The Light Between Oceans by M. L. Stedman, which was a book that was populated by good people making bad decisions and their tragic repercussions. This book consumed me because I could put myself in each characters position and see how they made their mistakes and why. It left me drained and thinking about it for days after and that’s what I look for in a book. Having said that it doesn’t have to be all sadness and hard to bear, The One-In-A-Million Boy by Monica Wood is filled with themes of grief, loneliness and old age, yet it is written with such a deftness of touch and humour that it is ultimately uplifting and filled with hope. So I suppose I want my emotions engaged by full characters (good and bad). I also like a strong sense of place, whether that’s somewhere exotic or Bolton on a rainy night I don’t care but I want to feel the place and a good writer can do that. I see books as an extra food group… they are vital ingredients to work my mind and nourish my soul. But then depending on time, place, mood I want different dishes & flavours: the thrill of new experiences or the comfort of resonating ones; ones that exercise my ability to laugh, to gasp, to cry… to imagine. What books gave that and why? Skipped this as it would be like a War and Peace post… too many to mention! It’s that “in a perfect world” part of your question that’s been giving me the most difficulty – and only because it’s probably at the core of why I read. Because life is so rarely perfect. Even when there’s nothing majorly dreadful going on, there are still those little niggles, the ones that get ten times worse when you wake up at 3am and can’t go back to sleep, or those really silly ones like how to get the burnt food off the saucepan or where you put your Matalan card. So I read in order to live in someone else’s world for a while. Their world doesn’t have to be perfect – in fact they’re often in a considerably worse state than I am – but I love that total escape you get with the very best books, those books where you feel a wrench when they finish, the ones that leave you with a smile on your face or a tear in your eye. That “other world” can be created by so many different kinds of books – I don’t want a fantasy world, not even a different time or country, just a totally different place I can live in for a while before closing the covers with a sigh and getting on with the washing up. I know some bloggers like to escape through chick lit, thrillers, the historical detail or the beauty of some literary fiction – but I’ve never really stuck to a particular genre. There have been some really breathtaking reads across the board this year and last, but I’m going to pick out the one perfect example of a book that gave me everything I wanted – if I don’t, I’m in danger of picking a list of thirty. It has to be Letters To The Lost by Iona Grey, the book that made me cry with big sobs when I finished it because everything had been so totally perfect, and that made me cry again but with joy when everyone agreed with me and it recently won the RoNA Romantic Novel of the Year. I loved it so much I wish I had a way of wiping my memory and enjoying it again for the very first time – such a special book, that totally sums up why I love to read. I want a book to take me into its world so completely, I forget what is ‘real’. EG: ‘A Gathering Light’ by Jennifer Donnelly and ‘Spindle’s End’ by Robin McKinely. Why do these work for me? I guess the characters were so believable I sort of ‘became’ them in my head – and my heart. I want a book to hook in my emotions and provide an escape from everyday life. I want to believe that I’m living the life of the characters and that this is my world, no matter the genre. I’d like to have new experiences but also for collective experiences to be shared so that I know I’m not alone in my thoughts and emotions. Recent books that I was emotionally invested in, identifying strongly with the characters and walking hand in hand with the leads. What I want from a book depends on my reading mood. I love a cracking plot with lots of twists and turns that makes me think ‘Oh. I wasn’t expecting that.’ I enjoy being taken out of my usual sphere of experience into a world I wouldn’t otherwise inhabit. Sometimes I want a light romance that I know will end happily and not take too long to read. But what I really want from a book is an emotional pull. I want writing that touches my soul and often makes me sob. It’s about recognising humanity in others, about feeling their pain and their joy and achieving a cathartic moment. There are many books that have given me that feeling – including your own How to be Brave but I’m selecting just three that have stayed with me every moment since I read them. The first book I ever read that gave me that feeling was Tess of the D’Urbervilles by Thomas Hardy. I read it in the glorious carefree teen time between O and A’levels (showing my age here) and I empathised so much with poor Tess’s suffering. It was the first time I’d heard quoted ‘As flies to wanton boys are we to the gods. They kill us for their sport.’ and the first time I think I really understood the vagaries of life and the uncertainties humans face. It was a coming of age moment I suppose. If it hadn’t been for the impact of Tess I don’t think I’d have gone on to do an English degree and teach English for a career. You could say I owe my entire adult life to that one emotional response to a book. Steinbeck’s Of Mice and Men also has this effect. The intense loneliness of all the characters and their unachievable dreams make me feel for them intensely. I must have read this novella around twenty times for teaching purposes and I still can’t read the ending without a tear in my eye. Reading it aloud with students used to be so embarrassing as I couldn’t get to the end without a catch in my voice and a tear rolling down my cheek. I recently went with my book group to see a screening of the National Theatre version starring James Franco and Chris O’Dowd and if you’d looked along the row you’d have seen 12 middle aged and elderly ladies all reaching for their tissues. There’s true universal suffering in Steinbeck’s words. However, the more recent book that has really impacted on me because of its emotional pull is Lindsay Hawdon’s Jakob’s Colours. I can’t stop thinking about it. I think I began to cry quite early on and simply sobbed my way through the rest of the story. I reviewed it on my blog here Jakob’s Colours. There is something about the quality of writing, the sense of colour, the hope amidst the suffering, that resonates with me completely. I think the author Lindsay Hawdon is beginning to wonder if she has a stalker as I keep mentioning how wonderful Jakob’s Colours is all over social media. Lindsay was kind enough to grant me an interview for the first anniversary of my blog earlier this year and which you can read here too Interview Lindsay Hawden. My signed paperback with me quoted in it is one of my most prized possessions. And to finish – and I know this is a fourth book when I said I was going to mention three – lest you believe I’m totally miserable and morose, I’d just like to mention The Finding of Martha Lost by Caroline Wallace. I adored this read as you can tell from my review The Finding of Martha Lost and it did make me cry, but this time with sheer, unadulterated joy. I found it utterly uplifting and heartwarming. It’s not a book I’ll be parting with. I want to feel something. Strongly. Be that any one of a range of emotions from sad to happy to angry. Book that achieved that? Well, How to be Brave of course! But The Dark Inside particularly because it just had that indefinable *something*. Anything John Connolly writes usually gets me – Girls on Fire this year I had all the feels for. OMG I L❤️VE this!! And what a fab group of bloggers too! !